Canada Gesse are everywhere in Canada. 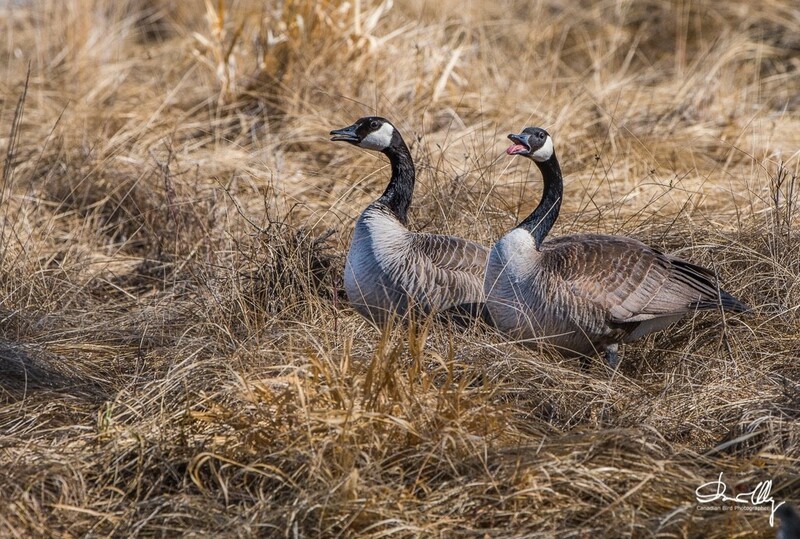 Since Canada Geese has a grey look to them they make excellent subjects to check you exposure. Also, if you are just learning how to photograph birds, Canada Geese make great practice subjects. They are certainly much easier to photograph than a Wabler. The photograph to the right made it easy to get the proper exposure because the light was the same throught the photo. I used center weighted metering as I do for most of my bird photographs. F 8 at 1/1600sec ISO 560. Don't forget to apply my other tips for photographing birds. So get out there and practice on the geese. Try a new composition, geese in flight, or a loud goose as to the right photo.